Convertible Solutions celebrates 10 years @ booth 4040 during Graph Expo in Chicago, September 13 – 16, 2015. Convertible Solutions’ latest innovations demonstrate its ability to listen and take action. “We are proud to celebrate 10 years of making friends and meeting our customers needs” explains Kevin Zimmerman, Product Specialist Convertible Solutions USA. “We are excited to share our new products this year.” Booth 4040 will feature Fold ‘N Go, the original pre-converted products, TRU-Flat photo papers (not just for photo books but brochures and marketing initiatives), as well as exciting new MultiLoft substrates. In addition, we are celebrating friends with an on-site photo booth including fun props and laughter! Stop in for a selfie or a group photo to capture your Graph Expo moment with friends. We’ll print your photo on-the-spot so you can share the memory during and after the show. Convertible Solutions has exhibited at Graph Expo since our inception. Graph Expo is the most innovating and exciting exhibition of Digital, Injket, Offset, Flexo, Gravure and Hybrid technologies, products and services for the Commercial, Transactional, Converting and Package Printing, Publishing, Mailing, In-Plant, Photo Imaging, Marketing and Industrial Printing industries! Convertible Solutions supplies specialized substrates for digital printing, photo book manufacturing and personalized direct mail. The company makes a full line of pre-converted stocks for envelopes, mailers, fliers, and stationery. Convertible Solutions’ latest innovations demonstrate its ability to listen and take action. “We are proud to celebrate 10 years of making friends and meeting our customers’ needs” explains Kevin Zimmerman, Product Specialist Convertible Solutions USA. “We are excited to share our new products this year.” Booth 4040 will feature Fold ‘N Go, the original pre-converted products, TRU-Flat photo papers (not just for photo books but brochures and marketing initiatives), as well as exciting new MultiLoft substrates. Convertible Solutions will debut its new MultiLoft® products and redesigned swatchbook in booth 612 in the Solutions Showcase at DscoopX at the Gaylord National Resort & Convention Center in Washington, D.C., March 5-7. Convertible Solutions’ latest innovations demonstrate its commitment to customer-centricity. “We look at the Paperbilities and innovate products based on our customers’ needs and requests,” explains Richard McElhaney, General Manager of Convertible Solutions USA. “Many times we learn that one customer’s needs are actually many customers’ needs, and thus a new product is born to serve the industry. Our team will demonstrate four new MultiLoft Sheets: Kraft Speckletone, Magnet, Magna-ClingTM, Soft Touch, and E-Photo®. Our booth also will feature Fold ‘N Go, the company’s original pre-converted products, and TRU-Flat Panoramic photo papers. In addition, we will present our redesigned swatchbook. The new swatchbook provides access to the entire MultiLoft® family, combining all papers and products, sheets, and inserts, for customer ease of use and product selection. Each sample sheet includes item numbers, item descriptions, GPS and caliper for each paper type. Convertible Solutions is a bronze sponsor of DscoopX, a three-day educational event and networking conference for HP Graphic Arts customers. Dscoop was founded in 2005 as an independent community of graphic arts business owners and technical professionals who use HP Indigo and Scitex equipment and related solutions. The annual conference is the organization’s most important gathering, where members can build partnerships, alliances, and relationships that impact their business for years to come. Convertible Solutions supplies specialized substrates for digital printing, photo book manufacturing and personalized direct mail. 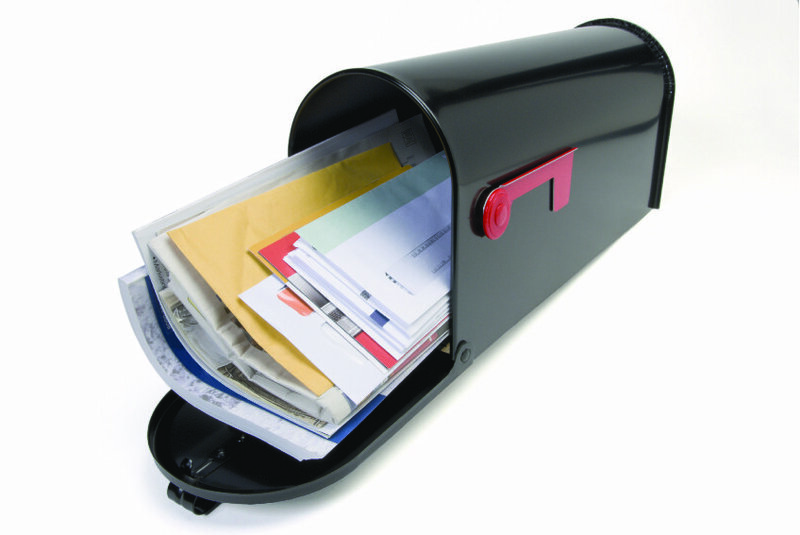 The company makes a full line of pre-converted stocks for envelopes, mailers, and cards. We recently attended an informative webinar presented by Trish Witkowski. She gave us the lowdown on a new mailers resource website named Rock the Mailbox. 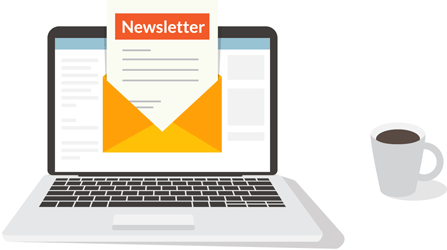 That site is dedicated solely to the creation and distribution of mail and helping people find and make the right connections to produce quality mail products and campaigns. Mail is near and dear to our hearts, see our Fold ‘N Go products, and we are excited to be a part of Rock the Mailbox (see more here). 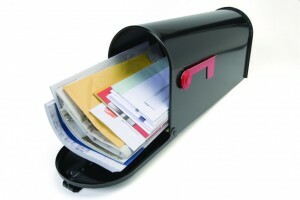 Our MultiLoft Sheets and Inserts, Reveal Card, Return Mailer, and 6-Pull Tab mailer will certainly Rock Your Mailbox! 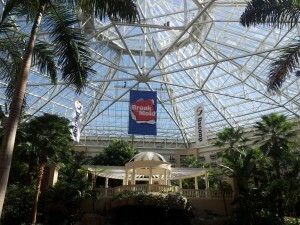 Convertible Solutions recently exhibited at Graph Expo. We hope you were able to visit us at Solutions Park on the southeast corner of the show floor. We were excited to show our new MultiLoft Colortone Sheets and Inserts, Fold ‘N Go, Double Thick and Panoramic products and ideas. 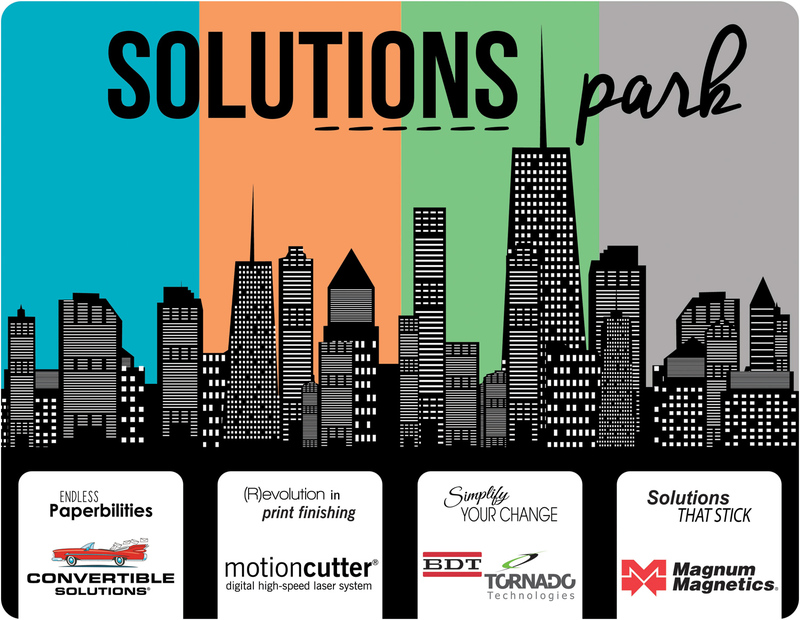 Solutions Park was presented in partnership with motioncutter with namecut technology, BDT Media Automation, and Magnum Magnetics. 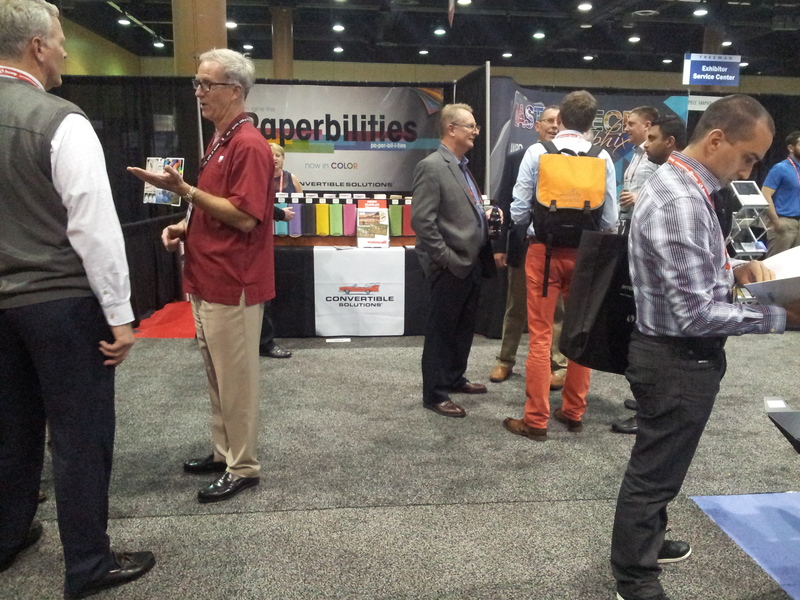 Booth 1074 was the place to be at Graph Expo!!! 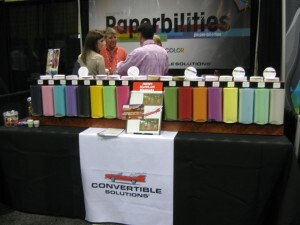 Convertible Solutions is proud to announce our creative idea showcase, www.Paperbilities.com, where MultiLoft goes Pop-tone with the likes of Grape Jelly (no peanut butter here), Razzle Berry (Willie Wonka’s favorite! ), Orange Fizz (shaken not stirred) and many more new insert and sheet colors. 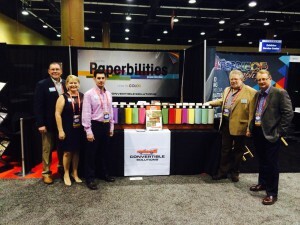 Paperbilities.com is THE website with colors, choices, and innovative ideas for all things MultiLoft. ​For you, we’ve created a friendly and easy to navigate site where we showcase actual customer generated products using MultiLoft as well as Convertible Solutions other fine pre-converted substrates. Take a break and browse for project and client ideas. We’ll have fresh ideas and new posts frequently, so check the site often. Feel free to share www.Paperbilties.com with co-workers, partners, and anyone you think would enjoy the visit. Convertible Solutions is sponsoring the HOW Design Live Conference. How Design Live is the biggest annual gathering of creative professionals. The event is in Boston from May 12 to 16, it’s your chance to explore the biggest ideas, meet your design heroes, and learn from the smartest minds – all in one five day design extravaganza. Attendees will learn from innovative thinkers like Malcolm Gladwell, Seth Godin, Stefan Sagmeister, Maria Popova and others via inspiring keynotes, hands-on workshops and nuts and bolts training sessions. The event is divided into five conferences …. How Design Live, The Dieline, In-House Management, Creative Freelance Business, and How Leadership Conferences. New this year — Booth 514, Imagine the Paperbilities with new ideas from Convertible Solutions! See our rich, new MultiLoft® Insert colors and MultiLoft sheets with textures, kraft papers, magnets, woods, and much more! 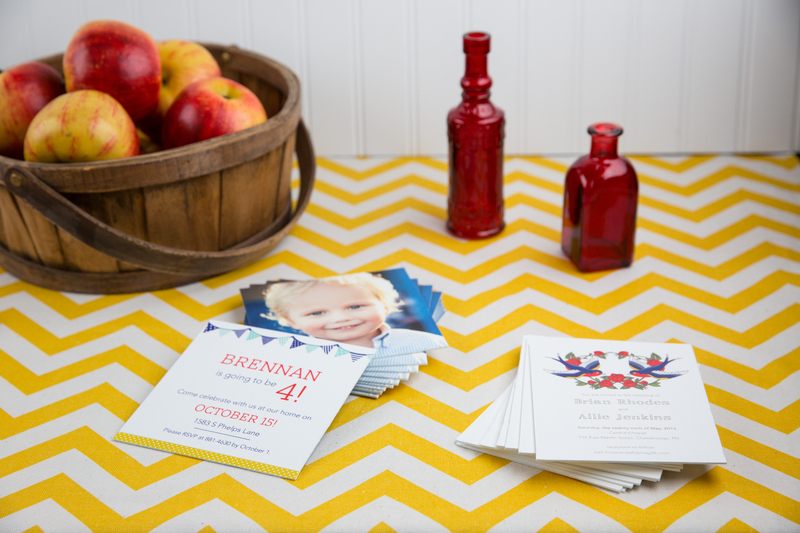 MultiLoft is a great product for wedding invitations, graduation and baby announcements, personalized stationery, event tickets, calendars, menu’s, greeting cards and more. Designers love the paperbilities! We are also excited to share our TRU-Flat® Panoramic Papers with on-site attendees. Designers will see for the first time how one sheet of panoramic papers will allow template design for eight unique finished book sizes. The designers printer has the ability to trim out eight different photo books from 5″ x 5″ up to 8.5″ x 11″. TRU-Flat photo books are perfect for photographers, architects, artists, museums, high-end product presentations, art galleries, creative professionals, and those that want to deliver an exquisite visual impact. Photos and images flow seamlessly across the page and colors always match across the page spread. And finally, check out our Double Thick Reveal Cards while you are visiting with Patty & Dave at booth 514! Convertible Solutions demonstrated MultiLoft Sheets and our new line of Inserts at Dscoop9 in Orlando, Florida. Digital printers and designers can now add even more of a colorful touch of elegance to business cards, invitations, announcements or holiday cards with MultiLoft Inserts. 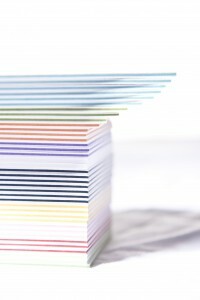 Convertible Solutions is pleased to provide 11 colors in our MultiLoft line of Inserts. The rich, new Insert colors can be combined with an expanded family of fine MultiLoft Sheets including Wood in two varieties and Kraft color paper to form a unique card with a colorful sandwiched center visible from every edge. An arousing presentation titled Creativity in Business Development was given by David Williams recently in Chicago during Print13 at the International Business Forum. He began with … Are You an Artist? Hallmark artist and author Gordon Mackenzie asked the question of children in elementary schools when he visited to demonstrate his art of sculpture. First graders jumped up and enthusiastically proclaimed themselves to be artists. When asked of fifth and sixth graders only one or two of them admitted to being an artist. David encourages each of us to embrace our inner artist when approaching new business opportunities. We live in an age of creativity; people who don’t create unique value will miss out on opportunities. Each person has to find their unique talent and develop it; we can learn from each other while we discover our own creativity, specifically, creativity in business model development. Your business model is broken. Or it soon will be. He makes that statement with confidence because business models become obsolete and today’s rapid rate of social and technical change means business has to evolve more quickly. Who is your customer? What does your customer value? How do you deliver value to that customer at the appropriate cost? In other words, it’s what you do, who you do it for, and how you do it. When you make a change to any of these areas, you are implementing business model innovation. David discussed business cycles and 3D printing specifically. Many aren’t aware of the products existence yet. 3D printing is an example of a business model in the introduction stage. An example of a business model in the growth stage is the selling of photo books and photo gifts online. Selling of digital cameras through big box retailers is in the mature stage of the business cycle. Successful companies develop, test and introduce new business models continuously to keep the business growing. David suggests we look at a few companies that have evolved new business models recently. Blurb’s founder and CEO Eileen Gittins followed her passion. She was a photography enthusiast who decided to photograph each of her friends doing something important to them. Eileen says that “Stories are a collective memory of who we are at a point in time.” She decided to assemble the pictures and stories into a book, but found the personalized publishing options available at the time to be lacking. She wanted to make a “book of great beauty, a real book like you would buy in a bookstore.” She decided to turn her idea into a business and took the courageous step of quitting her job and spending months presenting her concept to the venture capital community, eventually securing $2 million dollars in funding. Her team launched the site and generated $900K in revenue in the first six months. According to Gittins, they had “tapped into the passion of people wanting to share and tell their stories.” Blurb has succeeded because of the vision and persistence of Eileen Gittins and the ongoing dedication of the Blurb team. The ‘artist’ in her evolved! Leverage a core competency as the company Eric Scott did to enter a new business. In 2007, the private label manufacturing company identified a big problem. Eric Scott’s specialty is making high quality leather products and about 80% of their revenue came from the financial services industry. They make exceptional checkbook covers. However, fewer people are using checks. The drop in this business accelerated in 2009 and beyond. Fortunately, Eric Scott understood manufacturing high quality leather goods; they also had developed an image upload method to have the image printed on a leather checkbook cover. So they began to explore opportunities in photo gifting. In 2008 they developed a beautiful new line of genuine leather photo gifts. David ponders … What are your company’s core competencies? Are you an artist? How could you use these skills to develop new business opportunity? His presentation went on to point out a variety of companies that have been creative with their business model. Convertible Solutions built on an internal process when they created their original line of Fold ‘N Go products. Pinhole Press found a group with an unmet need, generally the wedding photographer. They designed a new web business model while providing a unique incentive to a new channel partner. Scott Crump, of Stratasys, developed Fused Deposition Modeling, or 3D printing, which was born out of Scott’s desire for a new solution to an old problem. In this summary of David’s presentation we won’t “dive deep” into the IDE3A process which is Investigate, Define, Explore, Experiment, Evaluate and Amaze. We will ask two questions … What ideas are you exploring that could benefit from the IDE3A process? How will you make them amazing? His final area to explore in the presentation was in regard to finding new ideas. According the Lemaitre’s Big Bang Theory, everything that has been created or will be created contains components from that original event. Ideas fit that same model. Great new ideas result from combining existing ideas into new forms. When you approach a new design challenge, your solution will be pulled from your knowledge and experience. When those experiences are broader and deeper, you are able to blend them together in more innovative ways. Today, that means books and blogs. Blogs, Twitter, Facebook, LinkedIn and other social networking sites make it easy and fun to follow the most innovative thinkers in any field. People who are intellectually curious have a talent for finding interesting information and sharing it. Really though, paper and binding isn’t what David likes most about books. The advantage of a well written book is the depth that it can bring to a subject. In addition, the process of writing and editing a book gives authors more opportunity to refine their thoughts and presentation. Whether you prefer hardbacks, paperbacks, a Kindle or an iPad, find time to read more books. Through books, blogs, and events, you will soon have more ideas than you can handle. Jane Smiley tells a story about the night John Atansoff invented the first electronic computer while having a drink in a roadhouse, he jotted his notes on a cocktail napkin. Atansoff had been working on concepts for the machine for years and on that night in December 1937, he was frustrated and baffled. So he jumped in his car and drove from his office across the flatlands of central Iowa, through the rolling hills of eastern Iowa, crossed the Mississippi river and stopped for a drink in Rock Island. The concentration of driving and the change of scenery kept Atansoff’s mind off of the problems of computational design. But his unconscious mind was free to explore ideas in depth. As soon as he sat down in that roadhouse, all four of the key design features of the system came to him at once. He sketched his ideas on his napkin, finished his drink, drove back home and began the long process of putting his ideas into action. That is a beautiful example of how allowing an idea to simmer can lead to a breakthrough. An unforgettable summer job is another example. Carl Decker invents selective laser sintering. In the summer of 1981, Carl recognized the need for a method to automatically create castings from CAD drawings while working a summer job in a machine shop near Houston. He began thinking of ways it could be done, he worked on the idea for the next three years and by the time he was ready to graduate, in 1984, he had developed the idea of using a beam of energy, such as a laser, to melt particles into a solid 3D object, developing the Selective Laser Sintering process. SLS and the FDM process mentioned earlier are the two 3D printing technologies that are transforming manufacturing. Like Atansoff’s road trip, Decker’s summer job, or the simmering chili, we need to give our ideas time and space to develop. Do the hard work first. Then relax for a while and let your mind work in peace. “Thicker is better” is the theme of the Convertible Solutions display in booth 1178 at the Print13 conference at McCormack Place South in Chicago on September 8th through the 12th. 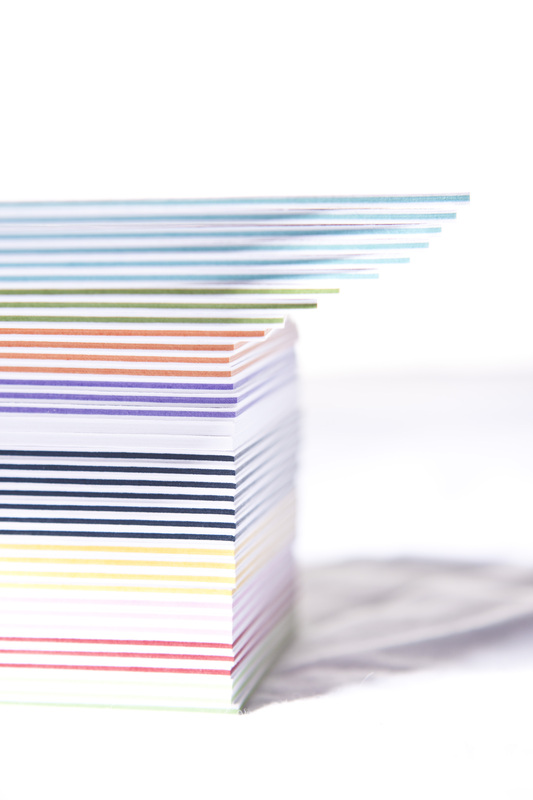 MultiLoft stationery, Double Thick postcards and Panoramic photo books are several of the specialty paper converter’s stocks that demonstrate the visual and tactile impact of thick and ultra-thick printed materials. Print13 is North America’s largest exhibition of equipment, materials and services for printers and imaging companies. Convertible Solutions will be one of 550 companies exhibiting at the five day event. In addition to the MultiLoft card stocks Convertible Solutions makes a full line of pre-converted stocks for envelopes, mailers and specialty items for printers serving the direct mail, photo imaging and social expressions industries.